The Stage Professional versus amateur: in theatre, what's the difference? Mark Shenton: Professional versus amateur: in theatre, what’s the difference? We have a thriving theatre culture in the UK, both on professional stages and with more than 2,500 amateur dramatic companies, which stage more than 30,000 productions a year. This week, a new production of the short-lived West End musical The Biograph Girl opens at London’s Finborough Theatre , which the venue is billing “the first professional UK production since its 1980 premiere”. But when I enquired what the cast members were paid, I was told they were being given guaranteed expenses of £50 per week, with 100% of the profit (if any) split equally between all the participants in the show. The theatre’s artistic director Neil McPherson has admitted that this profit is “unlikely, as they already know”. So, across a seven-show week, each actor is probably being paid no more than £7.14 per show. Given that tickets cost £20 each (£18 on Tuesdays), each theatregoer is paying nearly three times more to see it than each actor is receiving to perform it. According to the Oxford English Dictionary, a professional is “a person engaged in a specified activity as a main paid occupation rather than as a pastime”. At £7.14 a show, I’m not sure performing in The Biograph Girl can be said to constitute being a main paid occupation. But the theatre bills the show as “professional”, as would other similar fringe venues. It has become accepted practice. No actor is being coerced to work on these terms; they’ve chosen to. So perhaps it would be fairer to say ‘voluntary’ rather than professional. Professional theatres regularly employ volunteers. 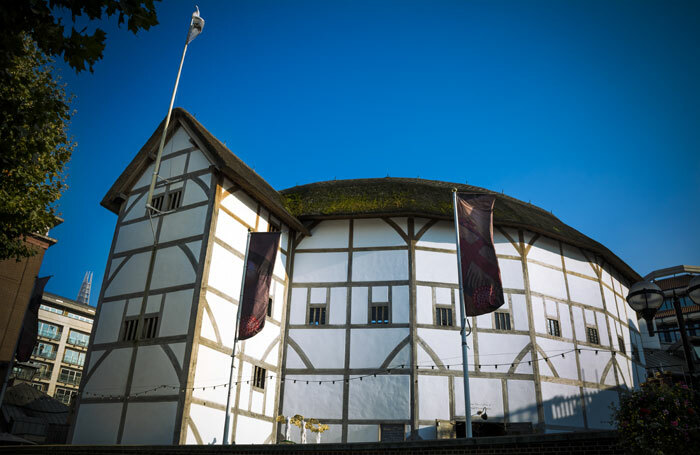 Shakespeare’s Globe proudly states on its website that its team of 650 volunteer stewards donate more than 60,000 hours of their time each year to help to run the theatre. With the London living wage currently at £10.20, the theatre is saving more than £600,000 here alone. According to its 2017 annual report, the Globe is in rude health: it declared a surplus of £1.4 million, which it is “reinvesting in activities and projects”. Why not divert some of those funds to that army of meet-and-greeters that are integral to the running of the theatre? I understand his instinct to step to the stewards’ defence. They perform an invaluable service, but the fact they are able to give their time free of charge doesn’t make them immune to criticism. Could the Globe be an even more welcoming place if it employed people to work in these roles, rather than relying on volunteers? The Globe is by no means the only theatre to do this. I recently visited the commercially run Swan Theatre in High Wycombe, one of 12 venues in HQ Theatres’ portfolio of regional theatres and concert halls. Its front-of-house team is also staffed by volunteers, overseen by a professional manager. Again, I understand the community ‘buy-in’ of such a policy: there’s a sense of ownership of the venue by the local community, but it sits uneasily with the commercial nature of the operation. After all, this is also limiting the opportunity of paid work for people who actually need an income and would like to work in the theatre. Many people are excluded from making or participating in theatre by the lack of proper remuneration; and theatres that don’t pay actors or front-of-house staff are maintaining the tight reins on that sense of exclusivity. It’s high time we called for an end to these practices.